We have started a new tradition at our household. Well really its a quite old tradition, but we have revisited it. 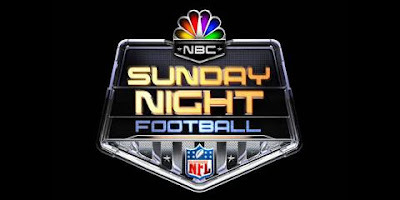 Since we are in China, we have to watch the Sunday Night Game on Monday night, because the Monday night game has not happened as of Monday night in China. We have really enjoyed the sounds of football and the voice of the commentators throughout the game. And we get to watch the game without the commercials, so what takes 3 hours in the States takes us only 2 in China. The commercials are great though because by the end of the game, we are exhausted from having watched that much football. And plus, we have no break to go to the refrigerator and get a snack! How does this work? With NFL.com you can purchase a game day pass that allows you to watch every single game for the entire season, past and present, and at any time. The only catch is that you have to wait until the game is over "live" and then you have access to all the games. It was especially great this Monday because neither one of us knew the final score. And if you watched the game this past Sunday night, you know that the Colts won on a 50 yard field goal in the final seconds of the game. Now if they could only get something like this up and running for the Sixman football state playoff games!